An apparent U.S. drone strike killed two suspected al-Qaeda militants in central Yemen on Monday, a local official said. 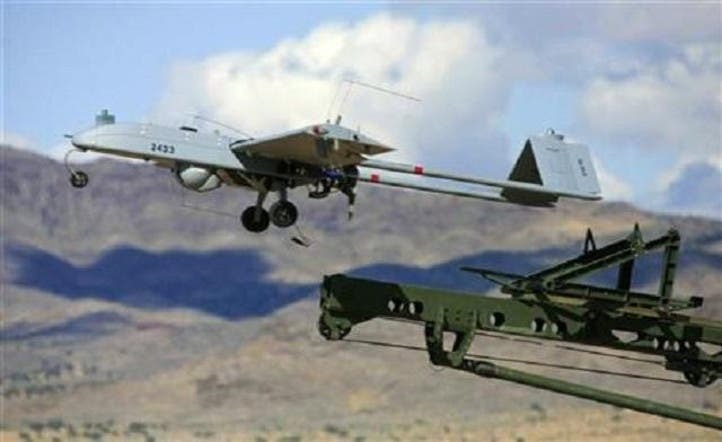 The attack took place in the Khobza area of the central province of Baida, the official said on condition of anonymity, adding that an American drone launched the attack. Yemen's defense ministry said on its news website 26sep.net that the raid targeted "two members of Al-Qaeda as they as they left a farm on a motorbike," in Khobza. It named the two killed as Abd Rabbo Mokbal Mohammed Jarallah al-Zouba and Abbad Mossad Abbad Khobzi. On Saturday, four suspected al-Qaeda militants died in a similar attack in southern Yemen. The United States has increasingly deployed unmanned aircraft against al-Qaeda targets in Yemen, which shelters what Washington regards as the jihadist network's most dangerous branch -- al-Qaeda in the Arabian Peninsula (AQAP). Drone strikes on AQAP militants have almost tripled between 2011 and 2012, jumping from 18 to 53, according to the New America Foundation, a Washington-based think-tank.